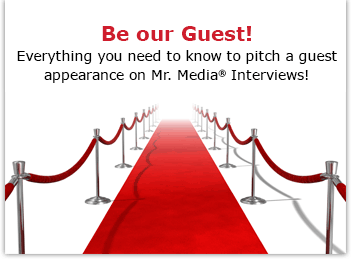 Mr. Media is recorded live before a studio audience of beautiful young magicians’ assistants tired of being sawed in half and left that way… in the NEW new media capital of the world… St. Petersburg, Florida! 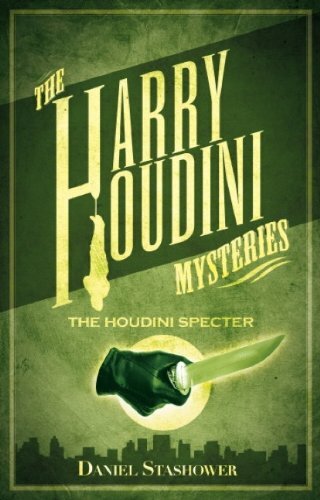 Order ‘Harry Houdini Mysteries: The Houdini Specter’ by Daniel Stashower from Amazon.com by clicking on the book cover above! If I was really good at this whole interviewing gig, I would have invited one of my previous guests, actor Paul Michael Glaser, to return to be part of the conversation today. Glaser was the person who first brought the great Harry Houdini to my attention when he played the master magician and escape artist in “The Great Houdini,” a thrilling 1976 ABC Movie of the Week. It was one of those seminal moments that forever fired my imagination. The novels capture an imagined moment in time when Houdini already possessed an enormous ego for his prestidigitation and deductive skills—but had yet to earn it with anyone outside of his immediate family. The Houdini Specter is a wild romp: good story, terrific characters in Harry and brother Dash, and a taste of the future genius as young man. It also gave me a desire to investigate Stashower’s other period piece, The Ectoplasmic Man, one of “The Further Adventures of Sherlock Holmes.” And you’ll no doubt be interested in his opinion on the BBC series “Sherlock” and its star, Benedict Cumberbatch.